Travelling is one of my favourite things to do in life. I had some time off this summer from my hectic work-life to get away for a little longer than usual. I took this opportunity and travelled through Italy and couple of other places. Let me tell you, all the places I visited had 30+ degree weather so in the sweltering heat all I cared about was keeping cool and resembling a human being while doing it! I've gathered a handful of my favourites that helped me in this process. I picked this up on an ASOS order I made before I went away. You know I love Batiste over any other dry shampoos I've tried. So these minis were essential when I just wanted to get out and about without having to worry about greasy hair! It's a great size for carrying through the airport and just being able to throw them in your handbag. All 3 scents are great and they work really well. I always struggle with taking hair appliances abroad. Mainly because most of mine are so bulky! It's a hassle and once I get there, it turns out its either not compatible or just breaks down completely. Not great. I loved this because despite being travel friendly and quite small, it actually performs really well. I've previously bought cheap and cheerful hairdryers that just took an eternity to dry my hair - what even is the point? 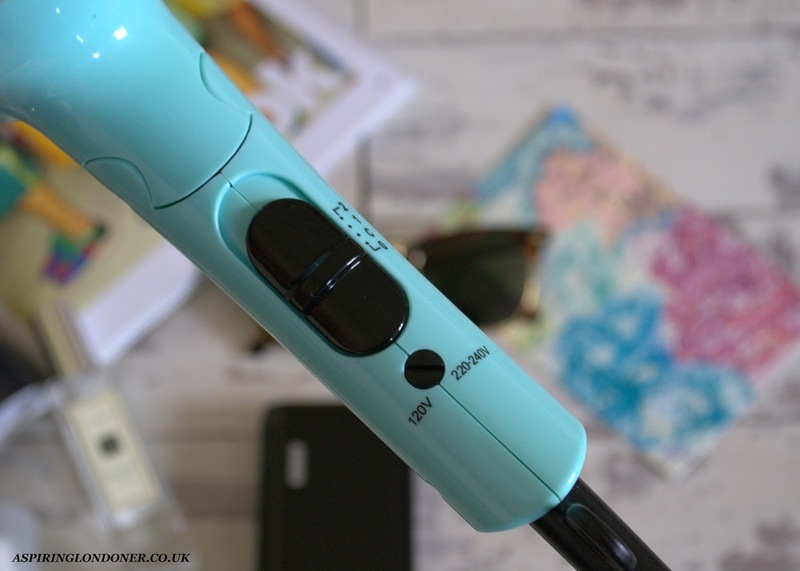 The hairdryer weighs under 1 kg and has dual voltage settings making it super travel friendly. I picked this up earlier this year. If you're a fellow iPhone owner, you'll know why! I picked up the one that can charge an iPhone almost 6 times or an iPad once, when fully charged. This is great because there's two of us, so we can charge each of our phones three times when we're out. It actually does give almost 6 charges (it has been tested to its limits many times!). I usually charge it overnight so it's ready to go with us in the morning. It has a USB charge which I plug into my apple plug to charge from the socket too! The external battery charges my phone really quickly, it seems faster than it does on a plug? I might time these to compare. But seriously fast charging! It is a little heavy, but it's so useful that I don't actually mind. Completely worth the money I paid! I've been lusting after these for a long time, and finally bought them for my birthday this year. I have not regretted the decision! I love them! They are heavier than my Wayfarers, but I love how they feel and look on me. It's been everywhere with me and if you're counting price per wear - it's already been worth it! I went for the tortoiseshell frame as they just look better compared to the black frame. Love love LOVE! It was one of my favourites last summer, it still is. Wood Sage and Sea Salt is such a perfect blend for the summer. It smells like summer, yet has a freshness about it that I can't quite describe. Because I've used it so much on holiday, now the scent just takes me back! 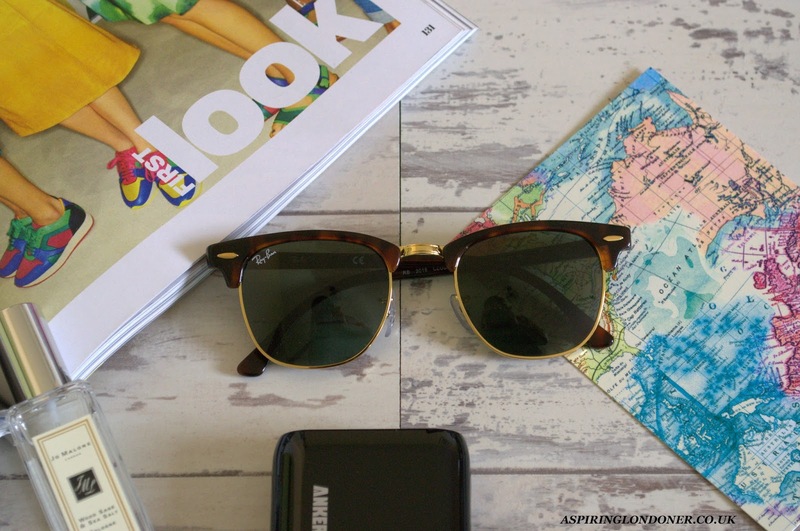 I love that it came in a portable handbag size and it was just perfect for summer. Have I mentioned how much I love the scent?! 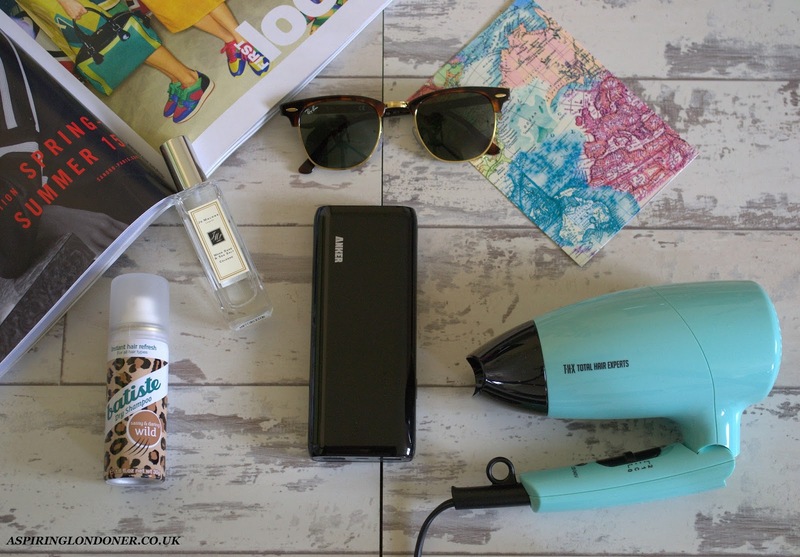 What's your favourite travel essentials? Share recommendations in the comments below or tweet me @aspiring_london!